Yes, we’re crossing oceans and continents to reach our destination – the headquarters of Print-Rite in Zhuhai – 5,944 miles away. But despite the magnitude of the challenge we won’t be worrying about air transfers, visas, carrying luggage or mechanical breakdowns (although there could be a few of the physical variety!) – because our ‘journey’ will be undertaken aboard exercise bikes in the Print-Rite Europe reception at Amber Drive, Langley Mill. Our bike mileage will span across 20 countries! As our intrepid team spins away the miles across France, Germany, Poland, Ukraine, Russia and Kazakhstan, the most scenic it will get will be a view of the car park! But it’s all for a great cause, with all monies being donated to the British Heart foundation and Clic Sargent – set to benefit by £1 per mile – that’s £5,944 in total – if the fund-raising target is reached. The team at Langley Mill decided to undertake the exercise bike challenge to harness some of the great team spirit at the company while marking Print-Rite’s 35th anniversary. The ride is now underway and at least 17 members of the team will be taking their turn to clock up the miles, on two bikes, on a rota basis. At the last check we had reached Turkey. We have worked out that at an average of four hours’ cycling per day we should reach Zhuhai by 30th September – in time to congratulate Mr Arnald Ho and the Print-Rite team on their anniversary. 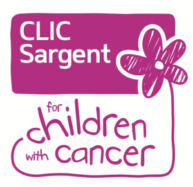 To raise the target amount we have set up two Just Giving pages, one for the British Heart Foundation and one for Clic Sargent – where you can show your support. ….and if you’re visiting our offices in Langley Mill please feel free to contribute to our mileage with a quick pedal. We will be keeping you updated here on the website and though our social media channels as we edge towards China.